The 19.7MB 2.0 Pwnage tool is availble now. iPhone Dev promises a more official announcement later on, but for now we have the tool a little early. Merry Christmas to us. 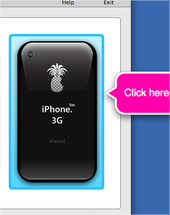 It jailbreaks and unlocks iPhones + iPod Touches, but it can only jailbreak 3G. Bugs are still being worked out for a 3G unlock, but we can expect it in the future. There are a couple of things to be aware of. First of all, the Pwnage tool doesn’t show Windows users any love. It wouldn’t be the first time, and it certainly won’t be the last. As far as a Windows release, I dont’ know if/when there will be one. Secondly, yes, you can brick your iPhone if you don’t know what you’re doing. The risk is there as always and I’ve already personally seen my share of commenters today preaching the details of their woe and desperately asking for help. Be warned.